At the wheel of your car, you are constantly bombarded with a multitude of acoustic and visual stimuli, a large proportion of which is subconsciously translated into concrete driving actions. The situation changes as it gets darker: it becomes harder to see, and subconscious control functions begin to diminish. At the same time, you have less time for conscious reactions and driving becomes more strenuous. How often have you wished for more light in situations like this? Growing customer demands led to the development of the first generation of NIGHT BREAKER bulbs ten years ago. With its uncompromising performance NIGHT BREAKER LASER bulbs still set the standards: with up to 130% more light compared to standard halogen bulbs NIGHT BREAKER LASER offers more light and more safety on the road ahead. Break through the darkness and see more with NIGHT BREAKER bulbs. The brightest halogen bulbs available in the most popular ECE bulb types. More sight, longer beam* and whiter light*! 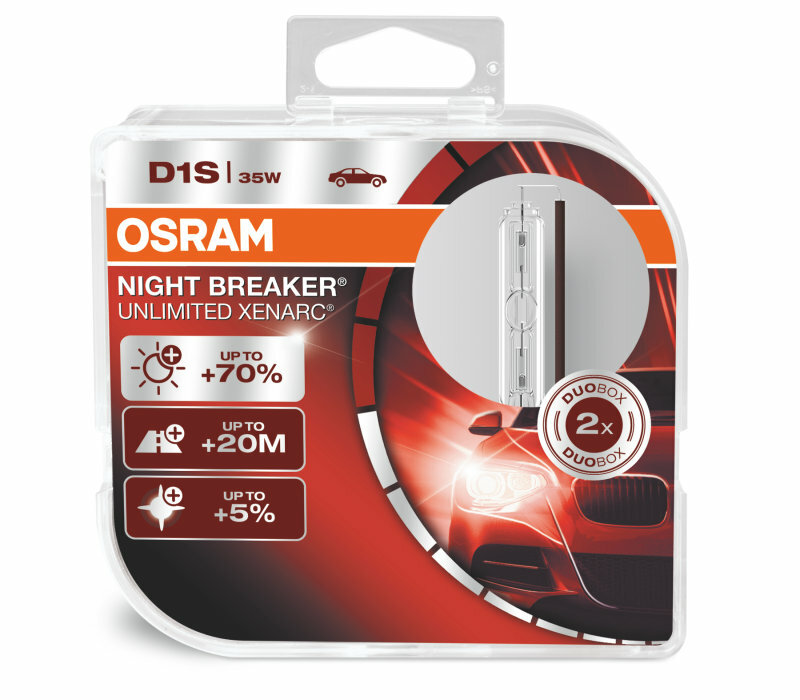 The brightest halogen bulb from OSRAM featuring up to 130% more light*, 20% whiter light* and a longer beam*. The Xenon bulbs in the NIGHT BREAKER family provide up to 70% more light compared to a standard Xenon bulb. Looking for the right bulb for your car? 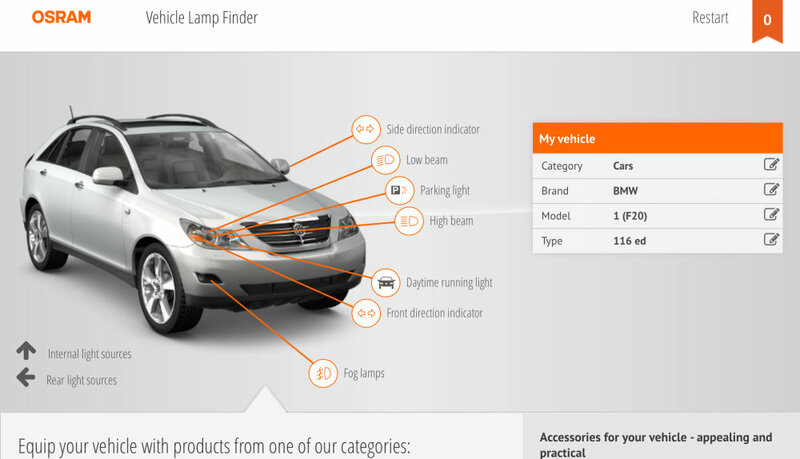 The OSRAM Vehicle Bulb Finder shows you a precisely tailored product recommendation for switching to OSRAM bulbs for your vehicle. Many vehicles with halogen bulbs allow you to change them yourself. Alternatively you can have them changed with the help of your local garage or workshop. 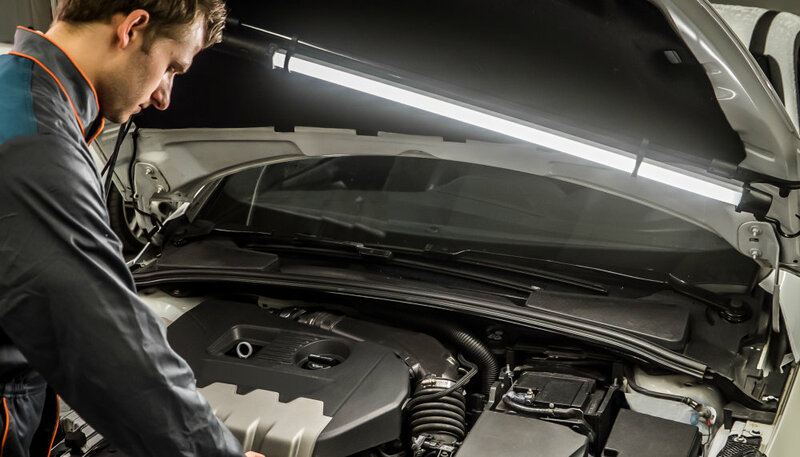 Xenon HID bulbs should however only be replaced by a qualified technician.